Sorry for the lack of activity recently, I have been playing Lost Sphear and to forgot that soulless game, Final Fantasy X right after. 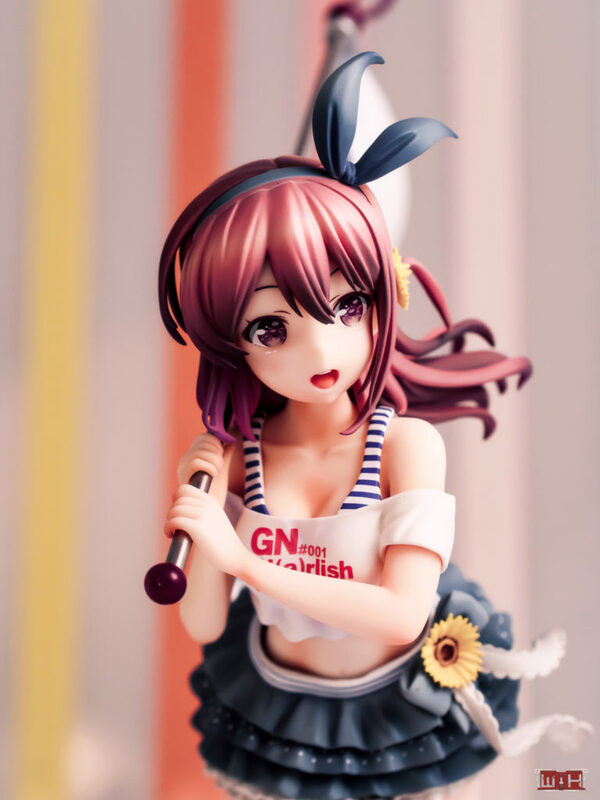 Today, it’s back to figure reviews, I will show you this little darling named Karasuma Chitose. 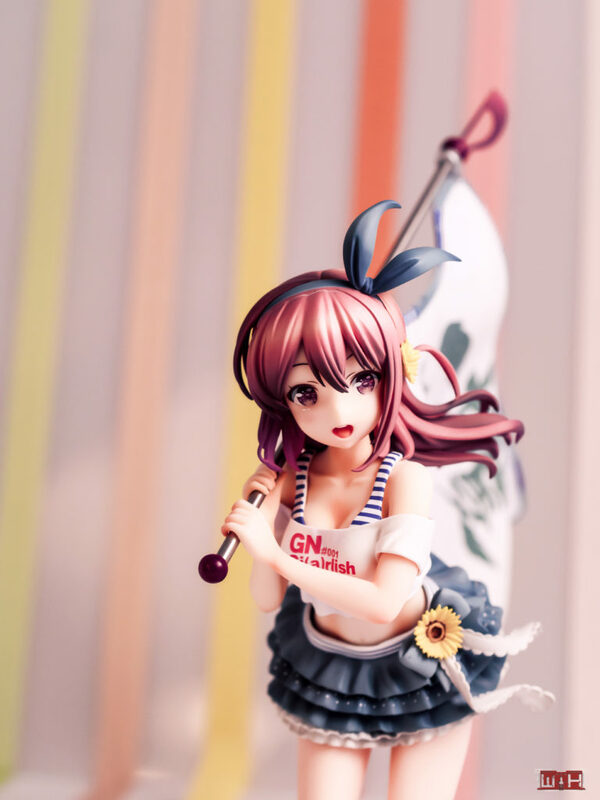 This figure has been released earlier in 2018, I didn’t know who she was, but I really liked the concept with a cute girl carrying a huge flag, it’s totally adorable, isn’t it ^^. 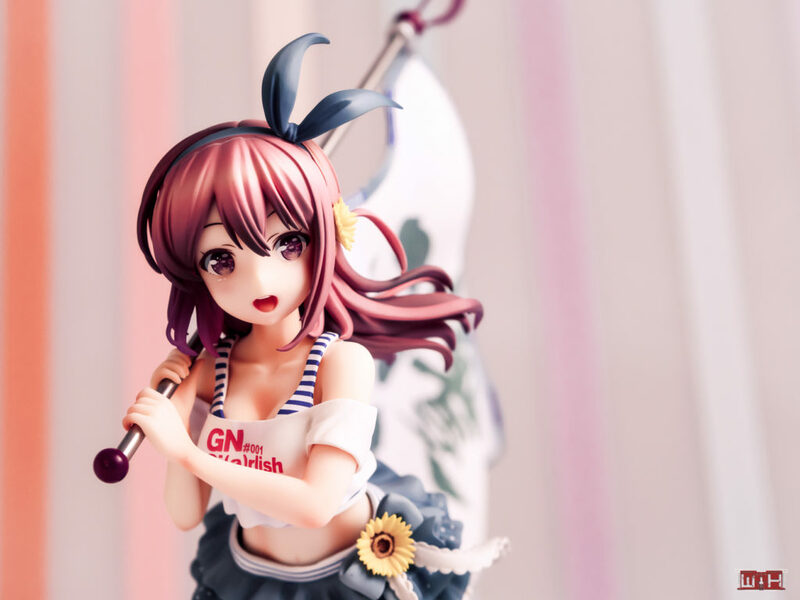 She was sold as limited figure on Animaru. Karasuma Chitose was manufactured by Stronger and released in July 2018. She has been sculped by the skilled Itandi. The figure has been listed as 1/8 and measures 200m in height without flag. 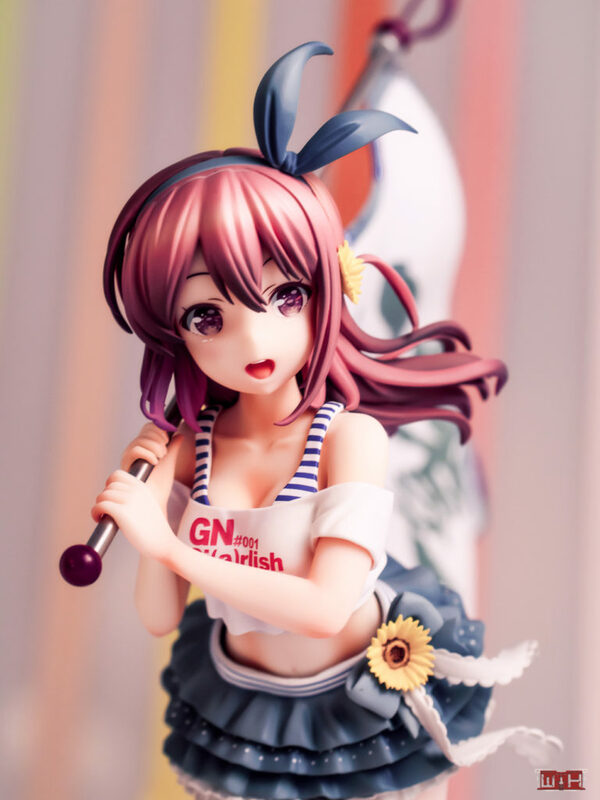 The figure is based on the style of Ohara Tometa and therefore looks especially sweet, but her real origin is the manga and recently aired anime Girlish Number. 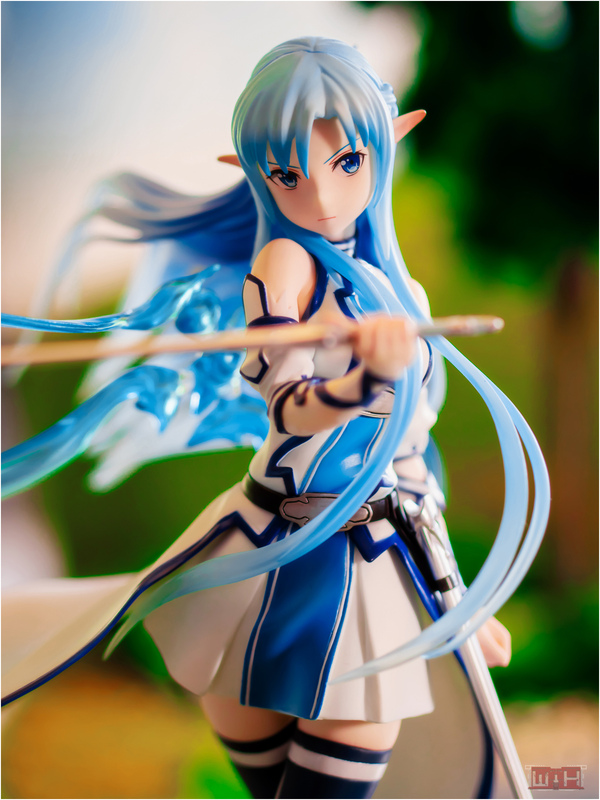 I watched it after I had received the figure. 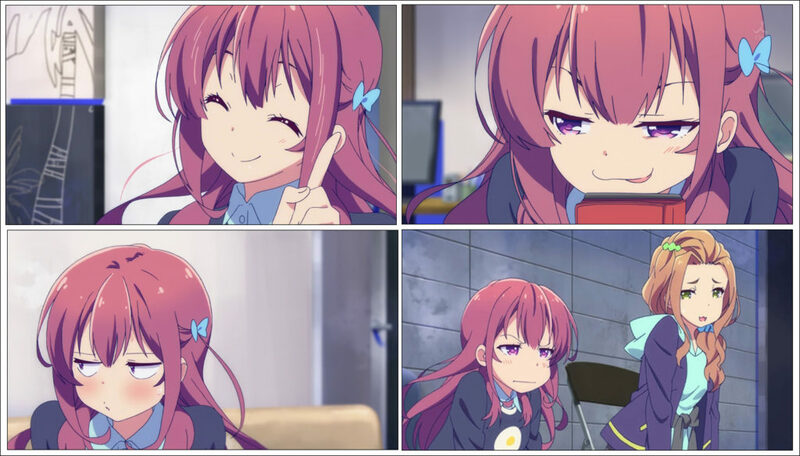 In this story Karasuma Chitose is a fresh anime voice actress with a questionable personality, which has been a little shock considering the cute appearance of the character. She gets a leading role in a mediocre anime that gets a second season later. The show was funny, but also strange, it had a lot of sarcasm about the anime industry. 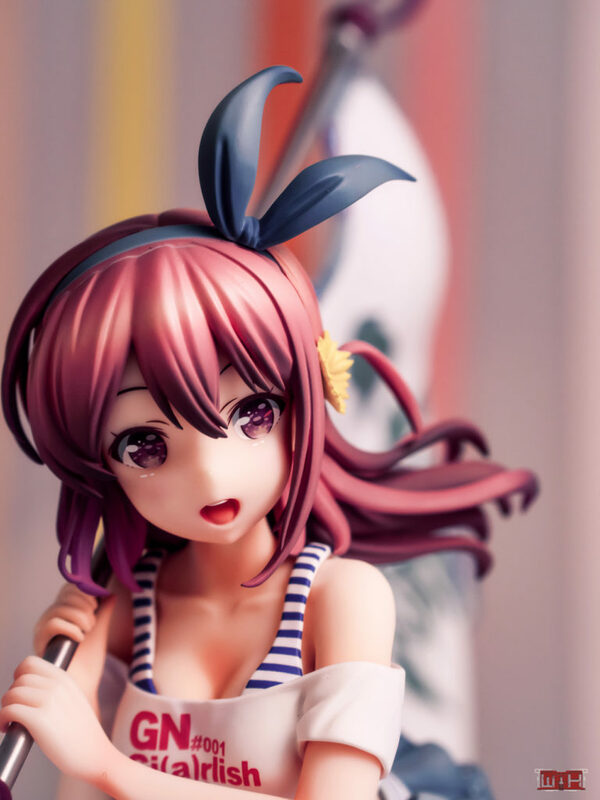 She has a very pretty head, the face of the figure is very detailed and gives Chitose a lively look. 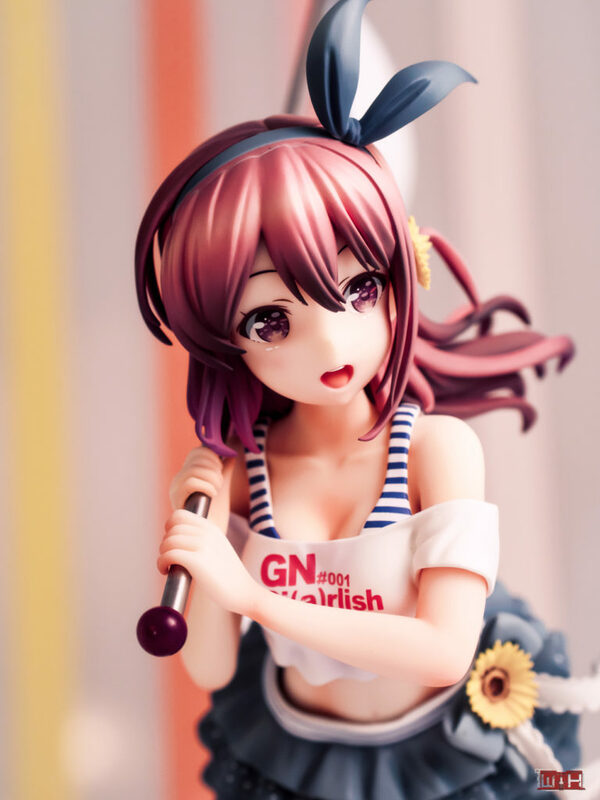 She is such a cute figure, her open mouth is nicely sculpted and her the super detailed eye decals are fantastic. Like in the anime the characters hair has a brown to purple gradient, the strands and hairstyle are very pretty and is decorated with a prussian blue Alice band quick and a sunflower. 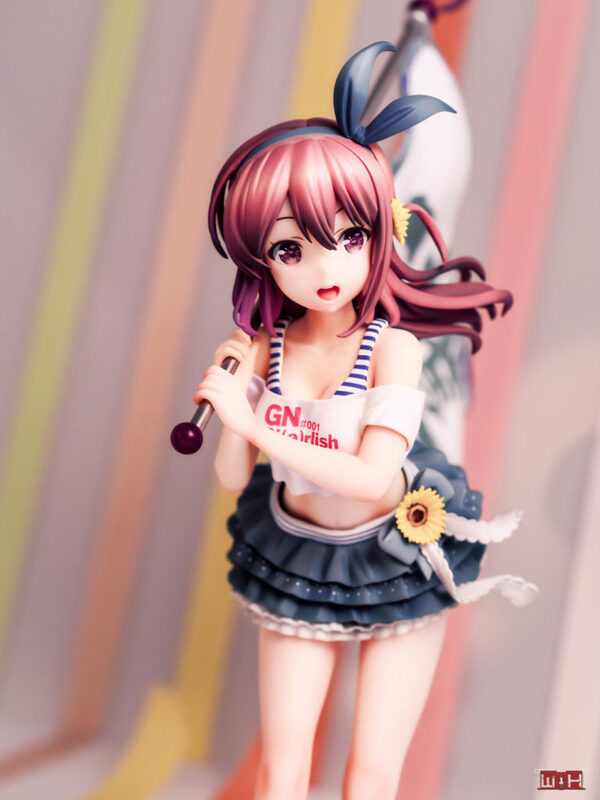 In the show Chitose was always wearing the same clothes, but this figure adaptation shows a very nice outfit. I really like the happy and summerly direction of her outfits coordinate, a bit of an maritime design. She is equipped with a blue striped tank top and a white shoulderfree shirt over it. At her lower half she is wearing a beautiful, frilly 5 layered skirt in an appealing prussian blue color. The lacy ribbon with the sunflower attached to it, is a very nice detail. At her feet she has red socks and white sneakers. The base is a simple white disc, but that doesn’t hinder the figures appeal. 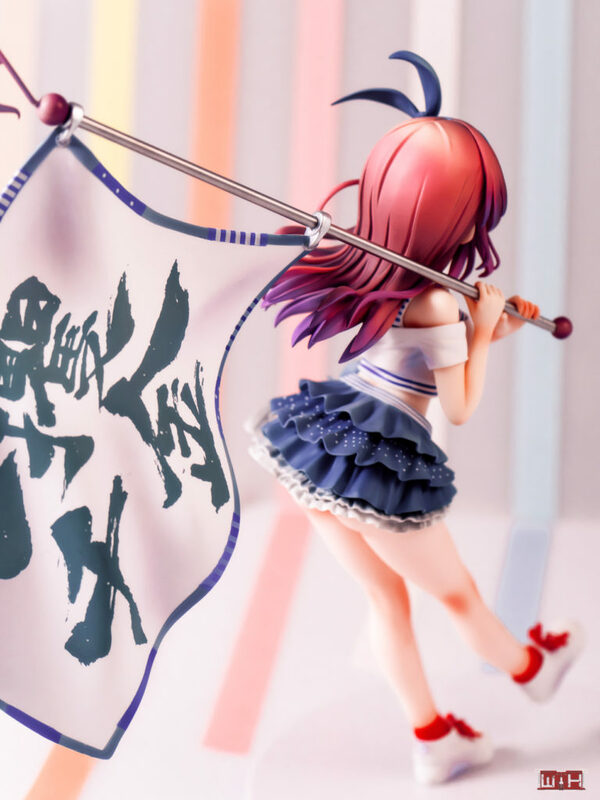 The figure reveals a bit of skin thanks to her breezy outfit without being too daring, although at the backside her skirt is a bit short :D.
Chitose holds a flag pole with both hands, the flag attached to it is nearly as big as the figure, unfortunately I can’t tell you what is written on it. I’m very happy about this figure purchase. 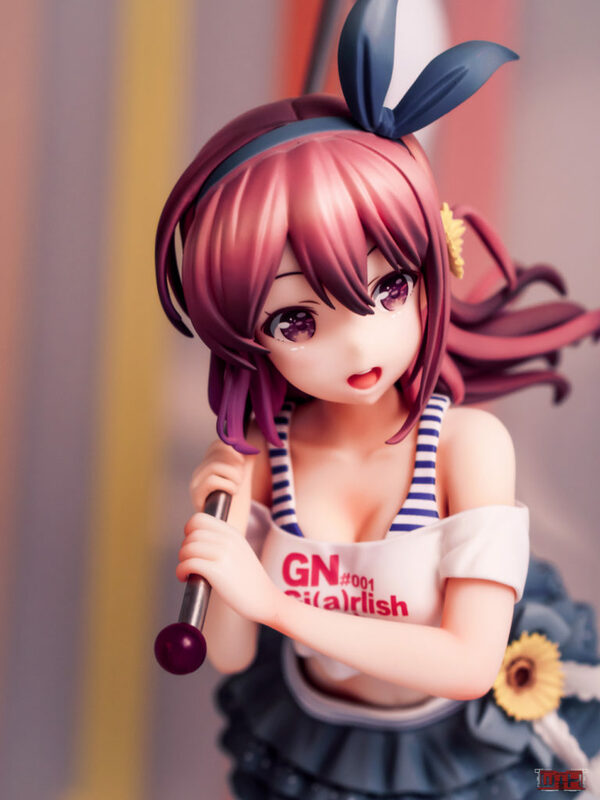 The figures quality is quite excellent and Karasuma Chitose looks so adorable, all the details of her face bring the figure to life. The character design has been adapted very well, the figure looks like the anime counterpart, although you can’t notice Chitose rotten personality at all haha. I also like her cheerful and light outfit, everything looks great I’m a big fan of the colors and stronger use of shading.